With over 30 years of culinary experience, he brings a dynamic and innovative energy to Royal Cliff’s diverse culinary scene. His passion to continuously learn and explore his craft has resulted in an impressive career spanning Asia and Germany with previous work experiences that include working for 5-star hotels such as the Kempinski Resort & Spa in China, Anantara Resort & Spa and Centara Grand Beach Resort Samui in Thailand as well as 5-star cruises such as the MS Royal Viking Sun. 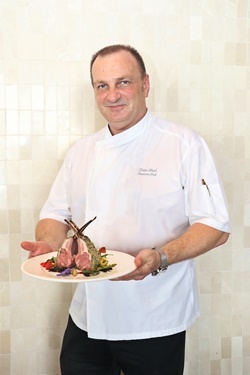 Honored to have worked with the late Paul Bocuse who is known to be the Chefs of the Chefs, Chef Peter has also cooked for distinguished personalities from politicians like Helmut Kohl, a former chancellor of West Germany, the 3 recent Prime Ministers of Thailand to popular German actors such as Hardy Krüger. He has also served royalty which includes Princess Anne from England and world-renowned actors like Sean Connery, Jean Collins and Don Johnson. His wide ranging experience, creative flair and ardent passion for the culinary arts make him the ideal chef to oversee and maintain the legacy of the 11 award-winning restaurants of the Royal Cliff Hotels Group. Chef Somsak is a truly multi-faceted chef! He ran Larn Thong for the last 8 years where he successfully creates a delicious and authentic Thai-cuisine experience for all. And while his Thai cuisine is amazing, don’t miss out on Chef’s many Russian specialties. 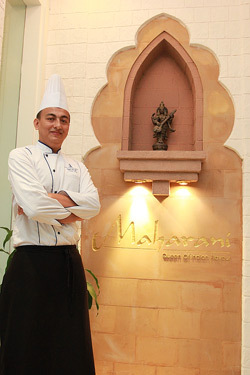 Chef Somsak also in charge of the Royal Cliff’s Hal-Q Certified Halal kitchen, where his expertise contributes to the high standard and quality of every dish! Born in Rome, Chef Massimo Gullota was always interested in cooking, and learnt the art from his grandmother who ran a tavern serving Italian food since he was only 9 years old. After working in Germany for 10 years, he moved to the United States and spent the next decade working at renowned restaurants. Chef Massimo's experience in authentic Italian flair, an understanding of the Asian palate and his ability to infuse seafood flavors into each dish makes him a perfect addition to oversee Rossini – The Godfather's Favourite.